Clinical medical assistants are versatile and valuable members of the healthcare team. They handle a broad range of duties that help physicians optimize patient care. And with an aging population, the clinical medical assistant has become one of today’s fastest growing careers. Holding certification will set you apart in the field by demonstrating that you possess specialized skills needed in any healthcare clinic or office. This course will prepare you for certification while training you to work in this high-demand field. You will learn how to effetely perform duties ranging from pharmacology to recording vital signs as well as key medical terms. After successfully completing this course, you will be able to take the Certified Clinical Medical Assistant (CCMA) certification exam offered by the National Healthcareer Association (NHA). The exam registration fee is included. Clinical medical assistants are skilled multi-taskers who help to maximize the productivity of the healthcare team. To stand out in this high-demand field, you need a specialized skill set and certification. This National Healthcareer Association-certified course will train you for an entry-level position as a clinical medical assistant and prepare you for the certification exam. You will learn how medical law, ethics, and HIPAA rules factor into a clinical medical assistant’s work. In addition, you will be trained to use scheduling systems, facilitate patient check-in and check-out, assess medical record, administer injections, and more. You will also study body systems and their main functions, so you can assist with patient exams. Upon completion, you will be eligible to sit for the NHA’s CEHR certification exam. What Makes Up a Skeleton? Practicing What You've Learned - What Makes Up a Skeleton? Now Hear (and See) This! Practicing What You've Learned - Now Hear (and See) This! This course is intended for experienced clinical medical assistants. 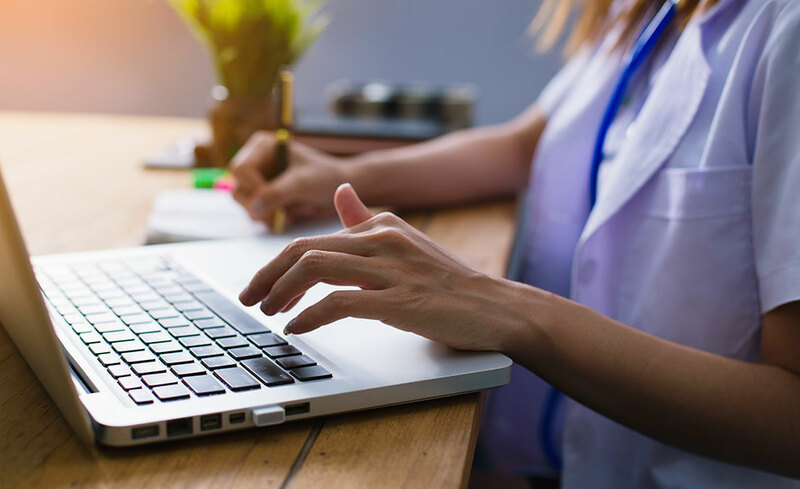 If you do not have previous experience in the profession, we recommend completing our Certified Medical Administrative Assistant courses prior to enrolling. To be eligible to sit for the CCMA exam, you must hold a high school diploma or GED. Nancy Smith has more than 30 years of experience in healthcare education. Previously, she taught administrative medical programs in the vocational school and community college setting. In addition, she has professional experience as a medical coder, medical records auditor, and medical office manager. Smith is a member of AHIMA and has a CCS-P coding certification. Carline Dalgleish has worked in medical office administration for over 30 years. She holds a bachelor’s degree in Business Information Systems, a master’s degree in Leadership, and a post-baccalaureate certificate in Health Information Management. She is a Registered Health Information Administrator and an AHIMA Approved ICD-10-CM/PCS Trainer. Dalgleish is the author of an ICD-10 coding system and also owns her own consulting firm, AnnGrant Educational Services. Sharon L. Blackford, MA, BA, RMA has over 30 years’ experience in the medical field. She has a master’s degree in Organizational Management, a bachelor’s degree in Business Management, and has served as a Registered Medical Assistant since 1994. She is originally from Chicago, Illinois and has worked in the United States Army. Blackford is also a veteran, having served in the United States Army as an active duty Clinical Specialist for 10 years. Yes. After successfully completing this course, you will be able to take the Certified Clinical Medical Assistant (CCMA) certification exam offered by the National Healthcareer Association (NHA). The exam registration fee is included.